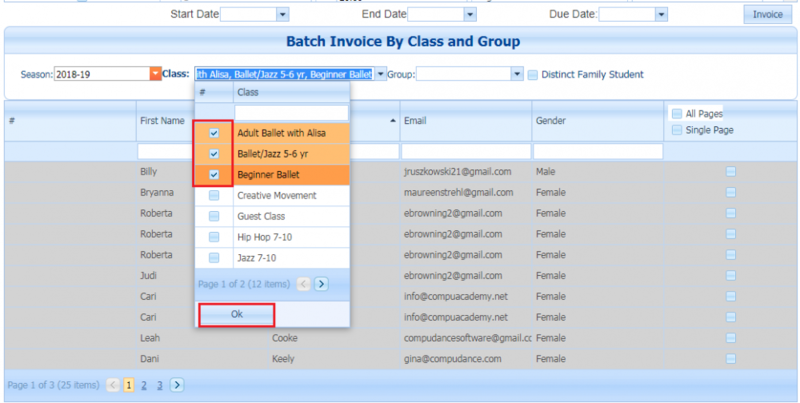 When creating a batch invoice you can select multiple classes. When clicking the Class dropdown, you have the option to select multiple classes. Once you choose the classes, click OK. If a student is enrolled in multiple classes their name will appear for each class that was selected. 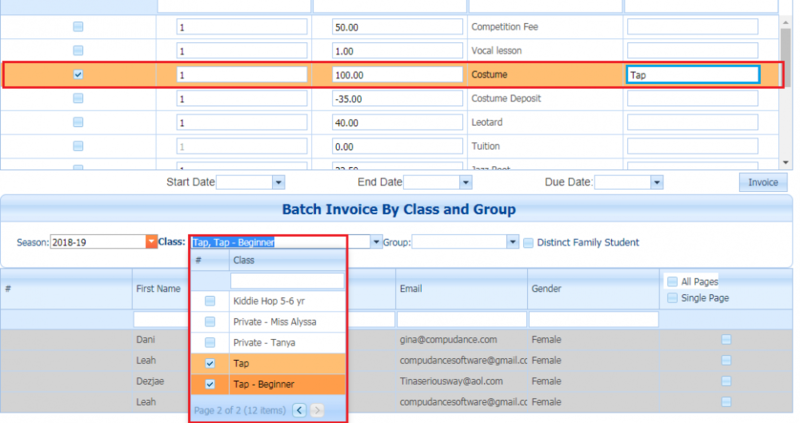 This is useful for batch billing costume invoices. Example: Billing for costumes by class genre. Choose your Costume income category. In the note field type “Tap”. Search for all of your tap classes. Select them and click OK. If a student is enrolled in multiple classes, they will show up twice. This means they will get billed once for each class costume. Leah Cooke will get billed for two costumes.